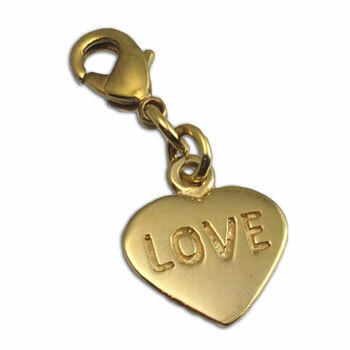 Little heart charm with the word "Love" written on it made of recycled brass. This tiny heart pendant has a spring claps on it so it can be easily added to your favorite charm bracelet, necklace or anklet to make your own heart jewelry. 1 cm + 1 cm clasp, 1.3 g.